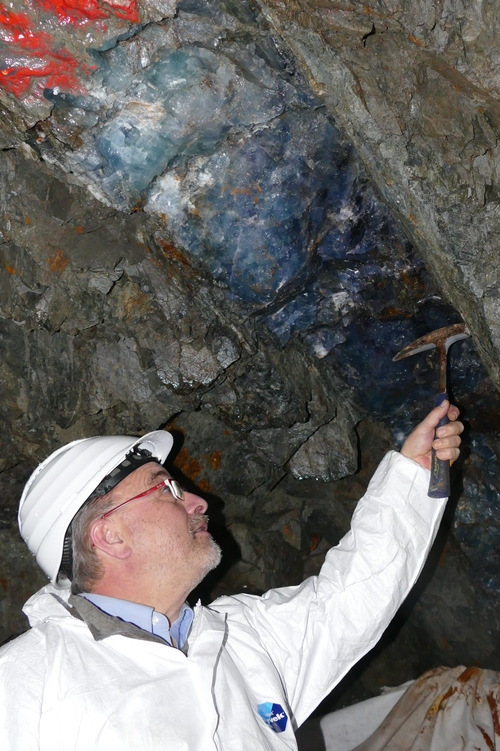 Dr. Ludger Krahn under a fluorite vein in the Grube Hohe Warte, Harz, Germany. 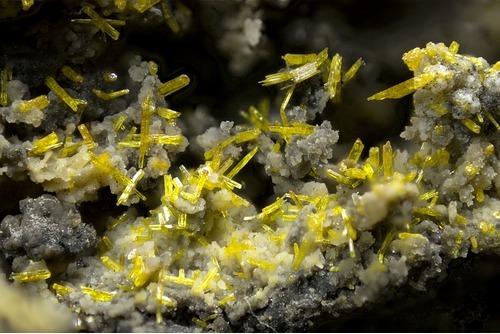 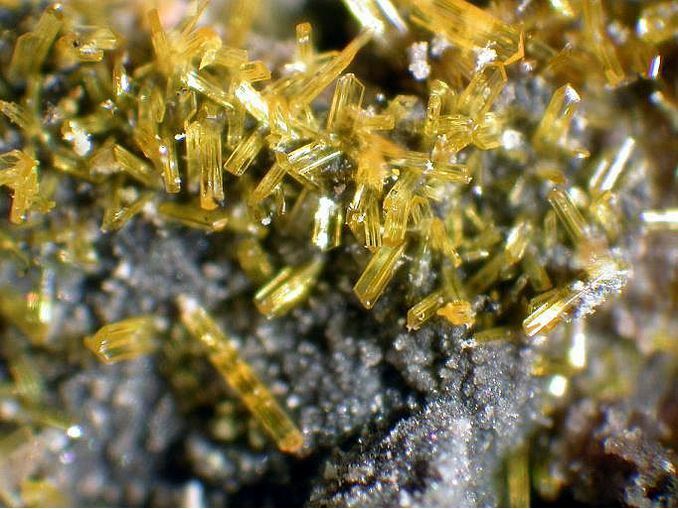 The mineral lukrahnite is named after Dr. Krahn. 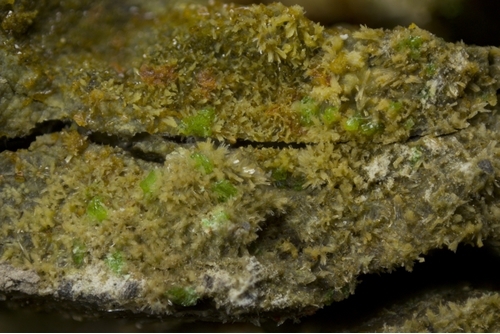 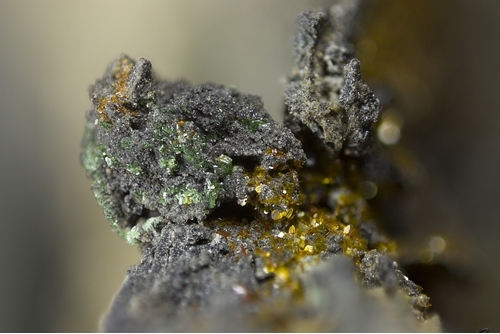 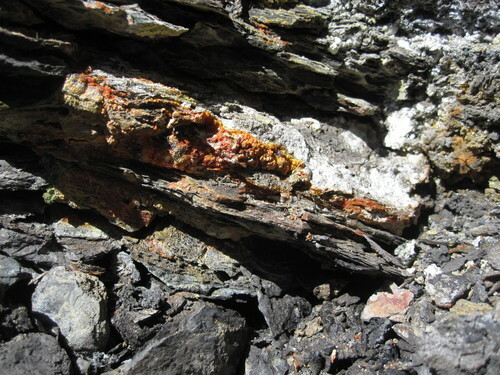 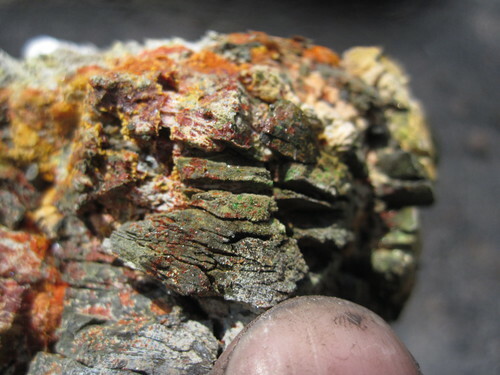 "Unnamed (NH4-Zn-Fe Chloride)" (green crystals near red kremersite), etc, immediately after extracting it from a vent ("fumarole") on the smoldering coaldump of the Anna coalmine. 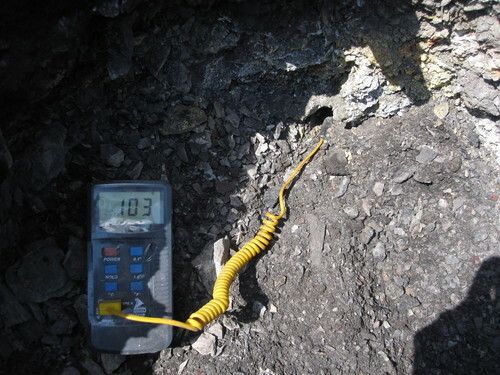 immediately after extracting it from a vent ("fumarole") on the smoldering coaldump of the Anna coalmine. 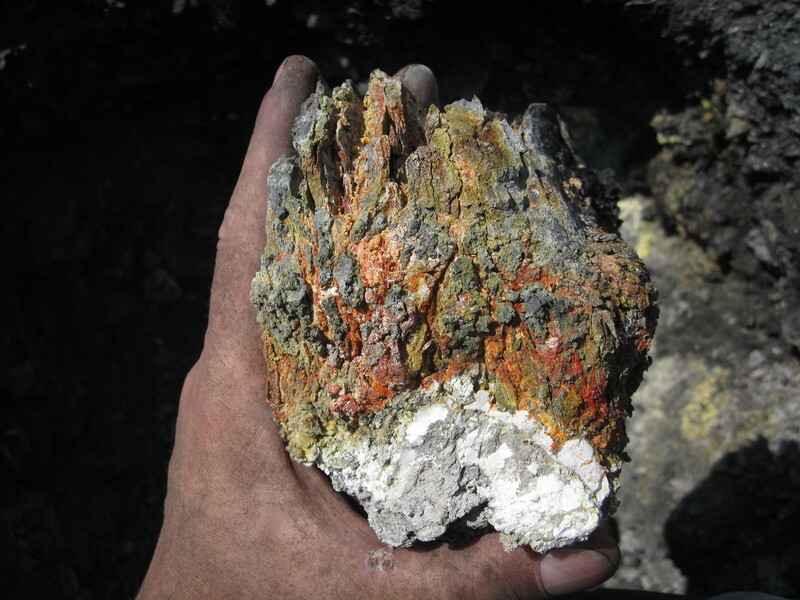 on the smoldering coaldump of the Anna coalmine.